As part of Devon County Council’s drive for clean, renewable energy we were asked to provide a louvre system for the Exeter Energy Recovery Facility. This state of the art project generates enough power and heat for around 5000 homes through the burning of up to 60,000 tons of non-recyclable waste. 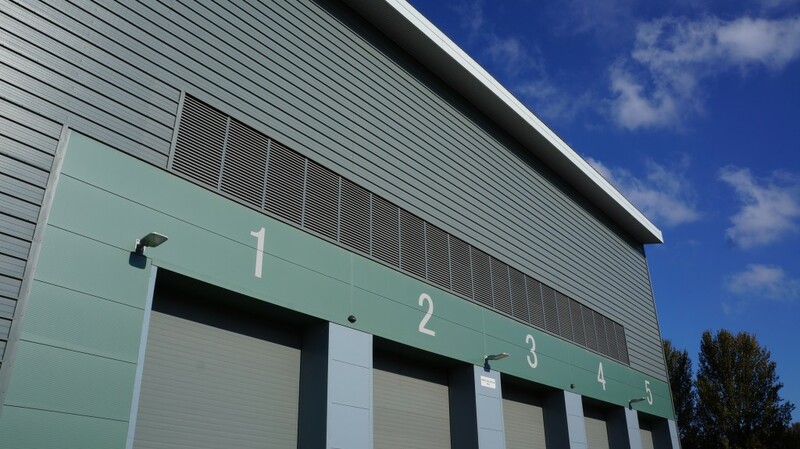 Due to the requirement for improved rain protection we were asked to design a system which included a triple banked, chevron blade capable of enhanced water resistance which did not compromise free air flow into the facility. 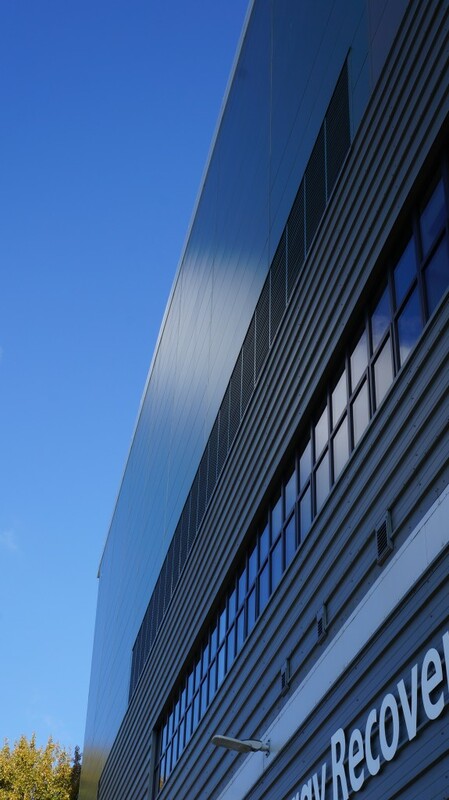 Available in a variety of materials and finishes and capable of providing 46%-50% free area by coverage, our Triple Bank system is a perfect natural ventilation scheme for any application where weather resistance and environmentally friendly building management are a must. Posted on October 14, 2015 by Chris.